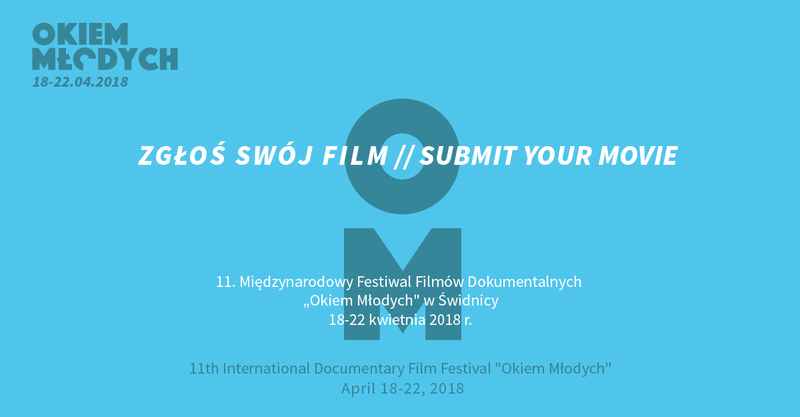 Submissions for the Main Competition and the Youth Competition of 11th International Documentary Film Festival “Okiem Młodych” are open! 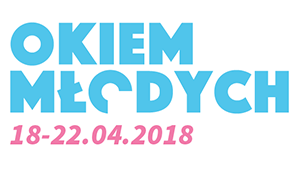 “Okiem Młodych” is a festival whose core are two competitions. The first one, the Main Competition, is addressed to filmmakers (amateurs, students of film schools, etc.) from both Poland and abroad, who are under 30 years of age (born in 1988 or later). The Youth Competition is open to individuals up to 21 years of age (born in 1997 or later) also from both Poland and abroad, who are not Film School students. The duration of films submitted for competitions may not exceed 30 minutes. Application forms are available at www.okiemmlodych.pl. What is the schedule of competitions? From now until 14th February next year, the organizers accept applications from the creators. After that date, the committee will select the best titles and announce them in its social media channels by 28 February. For more information, please visit the website and fanpage of “Okiem Młodych”. 11th International Documentary Film Festival “Okiem Młodych” is brought to you by Świdnicki Ośrodek Kultury and Wrocławska Fundacja Filmowa. The festival will be held April 18-22, 2018.